I’m not dead – ANUCON trophies! So I’m not dead yet – sorry I haven’t posted anything since… wow, January. 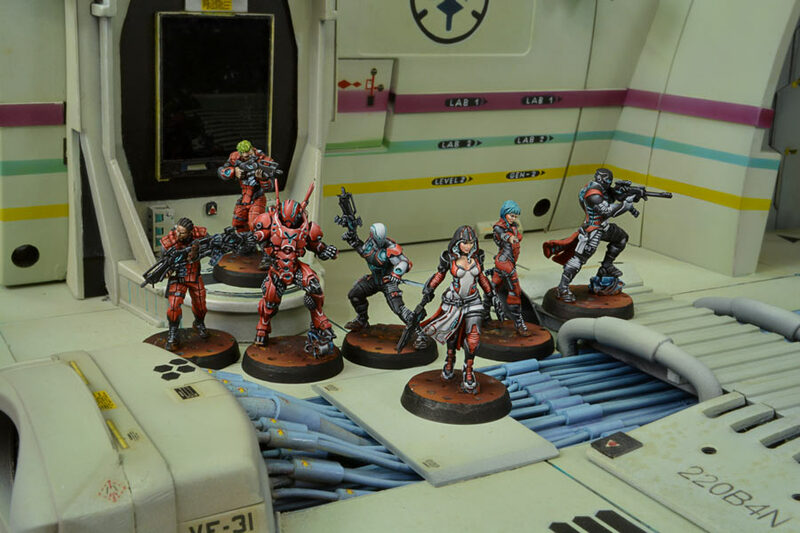 I’ve since joined the full-time workforce and have suddenly found myself without much time or inclination to do painting or modelling. 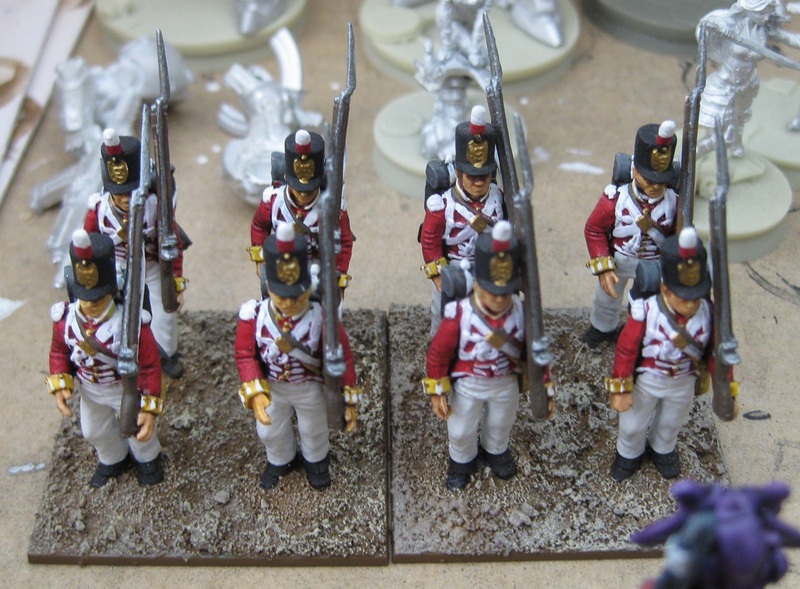 More british napoleonics… still lots more to go. I keep wanting to buy new stuff, but since I’ve only finished twelve models since the last batch of stuff I bought I figured I’d better not. At least it’s a preorder and won’t be actually released for another month or two – so I have some time to finish another two to four models, at this rate. Part of me is very glad that they’re not actually done yet, so I haven’t spent any money yet. Another part of me is very impatiently waiting for them to be released. Here’s what I’m working on right now: trying to madly finish the last couple of miniatures for my Infinity Nomads. 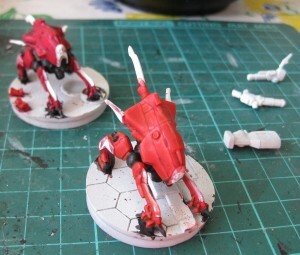 Above are two zonds (Nomad Remotes) – the front one has its black and red areas finished, whereas I’ve just done base-and-shade on the back one. Why am I trying to finish the Nomads rather than continuing on with more Napoleonics? Yeah, these guys are coming out. I had a “shut up and take my money” moment as soon as I saw them (dammit!). 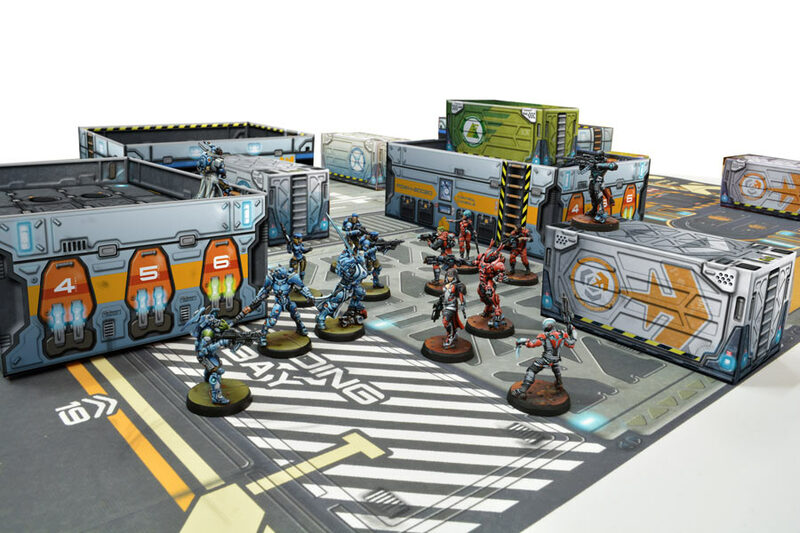 So unless you’ve been living under a rock for a while, if you play 40k you’ve probably seen that 6th ed is right around the corner. Many changes abound – whether they’ll be good or bad overall remains to be seen (at first glance, it looks like it’s going to be infantry-and-flyer-hammer rather than 5th ed’s tank-hammer) – but I’ll reserve judgement after I actually see the rules and have a few games (although not being much of a gamer in general, as long as the rules aren’t broken I’ll be fine, I just need a bit of an adjustment period to get used to the changes). 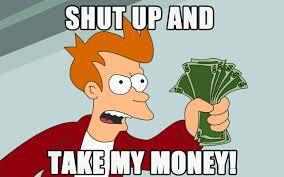 However, there is one thing I’ll comment on right now. Okay, seriously GW? $124 for, okay, an admittedly large hardcover tome, but really? 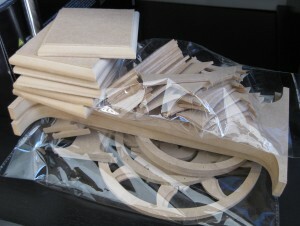 That much gets me two starter armies for Infinity, Dystopian Wars, Warmachine, or any number of smaller miniature games. I’ll buy your book GW – admittedly not at RRP since what kind of schmuck does so in oz nowadays when places like thecombatcompany exist – but frankly, paying that much for the new ruleset pisses me off, and makes me glad that I’ve stopped buying new GW models or armies and have moved on to more reasonable manufacturers (hence, Dystopian Wars and now Infinity). I think my friend’s got the right idea – he’s building a Warhammer Fantasy Dogs of War/Empire army from historial miniatures, which look just as good (or even better, since they’re not big-hand-feet-head heroic scale) and are much cheaper. 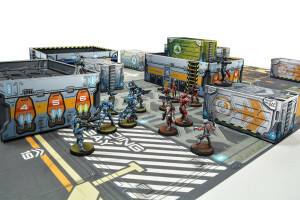 I’d be less annoyed at the price (of both the rulebook and GW miniatures nowadays) if they actually had a reasonable release and update schedule. 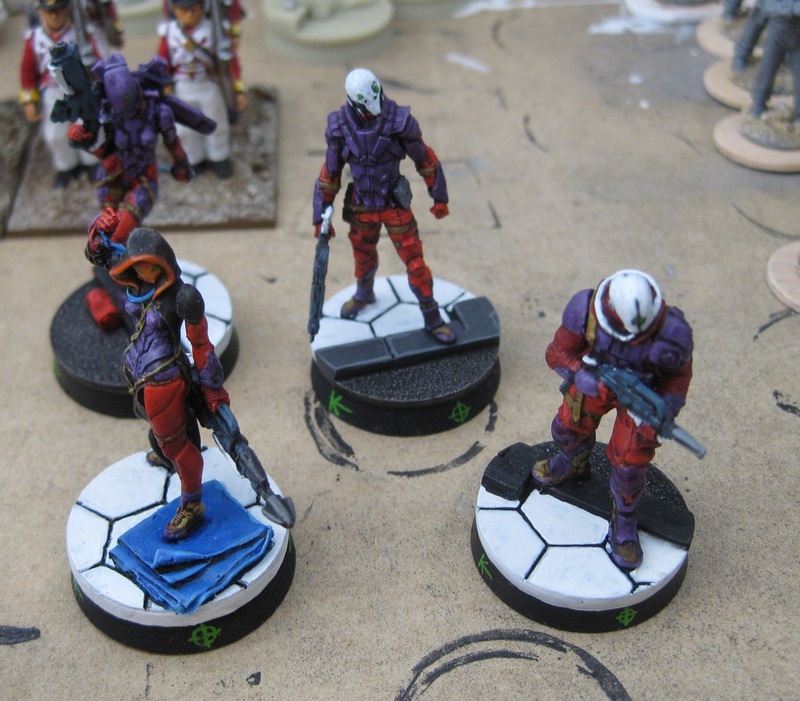 New releases are up on the Infinity forums for this month. I say “May” releases as these won’t actually be released until next month sometime, but they still apparently count as the May release this year. 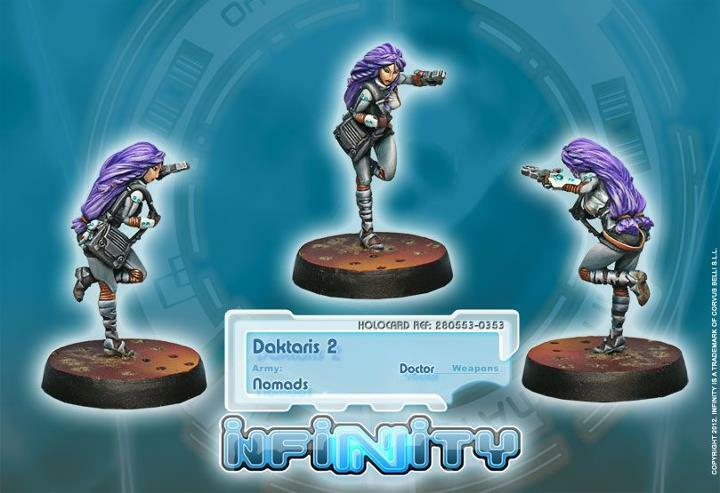 The main reason I’m posting this (okay, so I wanted to have a mid-week post as well) is because there’s a new Nomads Daktari model, which is very nice. But, it’s slightly annoying, because I’m already halfway through painting my Securitate model as a replacement Daktari (since I’m not a particular fan of the cat-girl model). Grr! I’m not so fussed about the Nomads support pack, since I never intended to use the Clockmakers model (I’m not a fan of the giant baggy pants). Oh well. 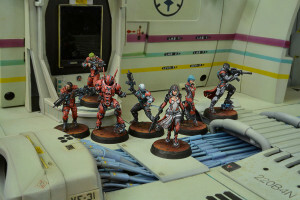 One more Infinity model to buy when it comes out I guess! 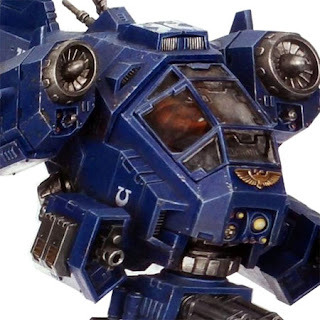 So we have the Space Marine Stormtalon (looks even more like a flying guppy to me than the Stormraven did, and I agree with comments that it looks like a GI Joe toy), the Ork Blitza-Bommer/Burna-Bommer/Dakkajet which looks awesome, and the Necron Doomscythe/Nightscythe which also looks awesome (and looks like a necron-styled 2003 Battlestar Galactica Cylon raider to me, which isn’t a bad thing because I love that show). I guess 2 out of three isn’t bad. What’s with those landing gear on the chin turret for the Stormtalon anyway? And does anyone else thing that “Stormtalon” sounds rather awkward? Upcoming Board Game: Fortune and Glory – September! Fortune and Glory, which I posted about last week, will be released in September according to Flying Frog’s webpage! So, approximately two more months and then we’ll be traipsing around the world on adventures. 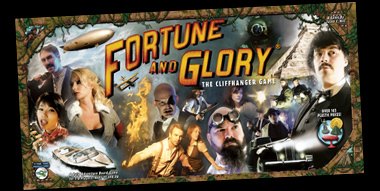 So, for a rare mid-week post, Flying Frog Productions has put live their website for their upcoming board game Fortune and Glory the cliffhanger game (somehow abbreviated to FANG). I’m planning on picking this up when it comes out later this year (“fall”, or spring for us folks down-under).